I’ve always sworn I’d never allow any “playline” dolls into my collection. I despised their skinny bodies and what were usually bulbous heads. (Of course, I have no problem collecting Ellowyne, so I’m a hypocrite in that area.) But I held my ground. Barbies (with the exception of Silkstones) were cheap and gaudy, Monster High dolls were freakish, and Bratz were just icky. 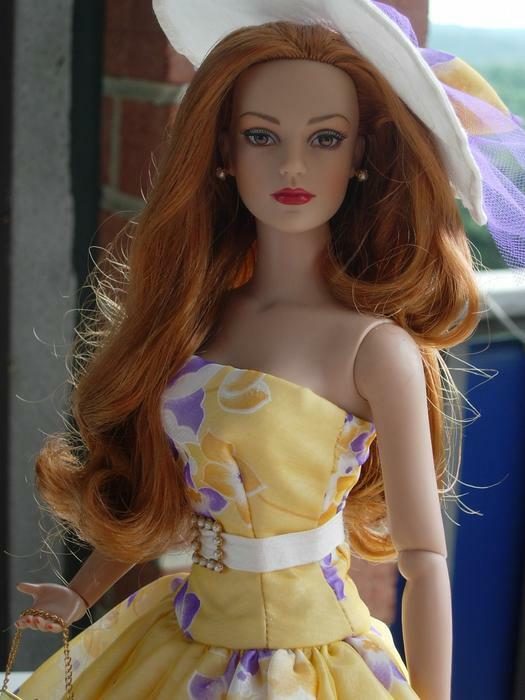 Any of these dolls and their many knock-offs would look even cheaper than they already were if I put them next to a stylish Tonner or Numina doll. No, thank you. REAL collectors do not allow big-headed plastic freaks of nature into their collections. And then I met McKeyla. I spotted her in the Toys R US store in Times Square in New York. I take a lot of business trips to New York City, and I always try to sneak in a visit to the ginormous Toys R Us in Times Square. 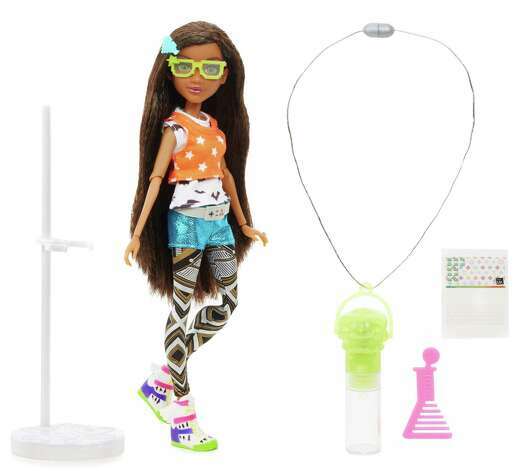 I was walking through the doll department (of course), when I found this new line of dolls called “Project Mc (squared).” It is a series of 10-inch tween girls that aspire to be scientists. Some of them come with science “experiments” you can do at home. They are adorable, and I love the idea of selling aspiring scientists to little girls in the form of dolls their own age. McKeyla was right. I looked at her price tag. Seventeen dollars. What kind of sophisticated doll collector spends $17 on a doll? That barely covers the postage of some of the dolls I buy. She looked at me knowingly. “Of course you’re not,” she said. I picked up her box a little more roughly than necessary and headed for the checkout line. After going back to my hotel, I took McKeyla out of her box and looked hard at her. She was adorable, and I loved her back story of wanting to be a scientist when she grew up. Each of the girls in the MC (squared) line represents one of the STEM fields (science, technology, engineering, and math). Given the paucity of girls who are encouraged to pursue these fields, it was great to see this effort to encourage girls to role play as tomorrow’s coders and mathematicians. As far as McKeyla’s construction goes, her plastic body was pretty light and cheap, and her articulation was minimal. But her hair was thick and long and curly, and she had the perfect number of faint freckles across her nose. “Aren’t you glad you bought me?” she asked. “A doll doesn’t have to cost a fortune to be collectible,” she said, giving me a knowing look. The damned thing was smart, too. So today, a week after McKeyla entered my life, I found myself in Wal-Mart, shopping for a few household items. After a while, I succumbed to the siren song of the toy department and scanned the shelves for the E=Mc (squared) dolls. I soon found them. I sorted through McKeyla’s sisters, reminding myself of my determination not to furnish McKeyla with any siblings. And then I saw Bryden Bandweth. She included a “science experiment” (materials to make a glow stick), and she wore a cute, casual, layered outfit. And then I saw her articulation. Apparently, the dolls in these more expensive doll + experiment kits had bodies with articulated elbows, wrists, and knees. A cute face AND articulation. For $25. When I brought Bryden home, I tried to hide her from McKeyla for as long as possible to avoid her obnoxious “I told you so” stare. But I did intend to display them together, so I ultimately had to introduce them. I was right about McKeyla’s reaction. “So you only lasted a week, huh?” she sneered. “Oh, shut up,” I told her. But this is it. I mean it. No more playline dolls. When I’m in NYC again next week, I will not go to Times Square.